The Space Shuttle & Prisoner Reentry, By R.L. Pelshaw. What Can It Teach Us About Making A Break From Our Past? Making A Break From Our Past? Take a moment and think about the Space Shuttle. Obviously, the Shuttle was not designed to stay on earth. It fulfills its destiny in the stars, not on the launch pad. What is the biggest obstacle the Shuttle must overcome to get into space? It’s not gravity but the weight of the fuel. The fuel weighs more than nineteen times what the Shuttle weighs. It’s ironic because the Shuttle needs the fuel to get into orbit, but the fuel is so heavy it becomes the biggest obstacle the Shuttle must overcome to blast into space. Breaking through the atmosphere into its destiny is the most difficult thing the Shuttle will ever do. I promised to show you how to use your past to propel you to your destiny. Pretend you are the Space Shuttle. You’re designed and destined to be high above where you are now, but you’re stuck on earth. You’re on the launch pad, ready for something to get you moving. You are yearning for something better, knowing you don’t belong where you are now. You are unhappy that you can’t get to where you want to be but you don’t know how to reach the stars. As the Shuttle you have to use your fuel to blast off, but what is that fuel? 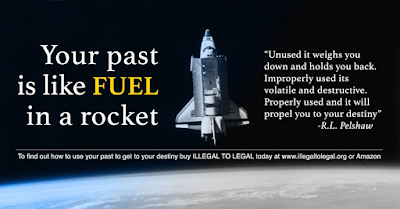 Your past, your life experience, is like the fuel in the Space Shuttle. 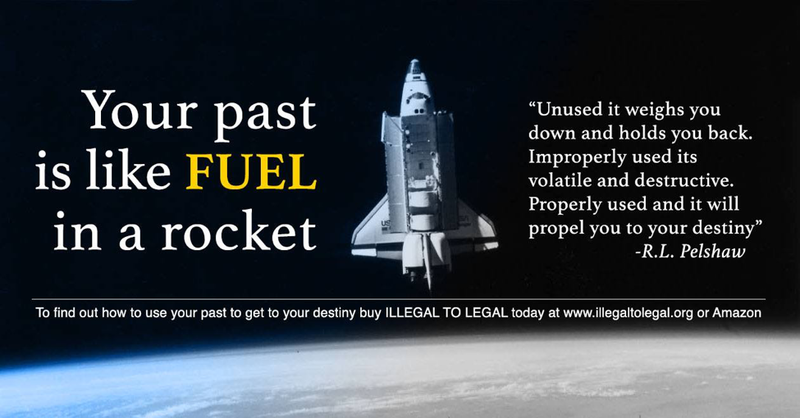 If the fuel is properly used it can propel you into orbit, your destiny. If the fuel is improperly used it becomes dangerous, explosive, and can destroy the Shuttle. If the fuel is unused it weighs you down and keeps you stuck on the launch pad. Life on the launch pad is an unfilled life. On the launch pad you’re never going anywhere, never changing, never doing anything differently, never improving, and never learning. All you are doing is wasting away and decaying while you ignore your destiny above you. © 2014 by RL Pelshaw, used with permission.